The Boston Globe broke the story about the Geoghan abuse case and continues to lead in reporting major developments in the priest abuse scandal. Betrayal delivers the full findings of the investigation with new, never-before-disclosed details and continues the effort to provide insight into this important story. 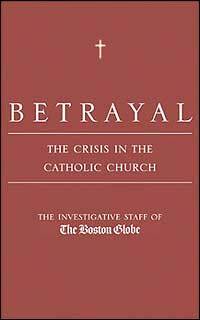 Betrayal also paints a vivid picture of the struggle ahead as Catholics confront the serious issues facing their church.